Eloise Wall schooled in Sutton and trained in Design at Kingston University and The Kent Institute of Art and Design (BA hons). In 1996 she moved to Falmouth to study further in the History of Modern Art and was entranced by the countryside, the sea and its people so has now made Cornwall her home. Since 1996, Eloise has trained as a sailor and chef and worked on super-yachts traveling great distances and seeing much of the world, but continued to paint periodically and her work has been collected since 1998. 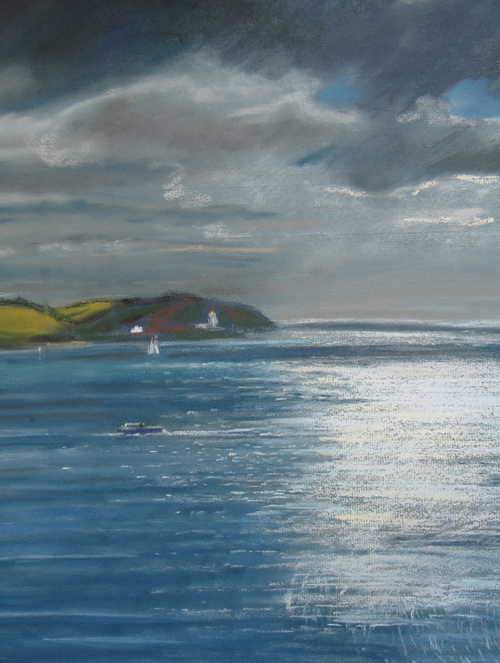 In 2009, Eloise has dedicated all her time to painting and following a long tradition of artists in Cornwall, now produces colourful works in soft pastel of the land and seascape, places and people that inspire her.